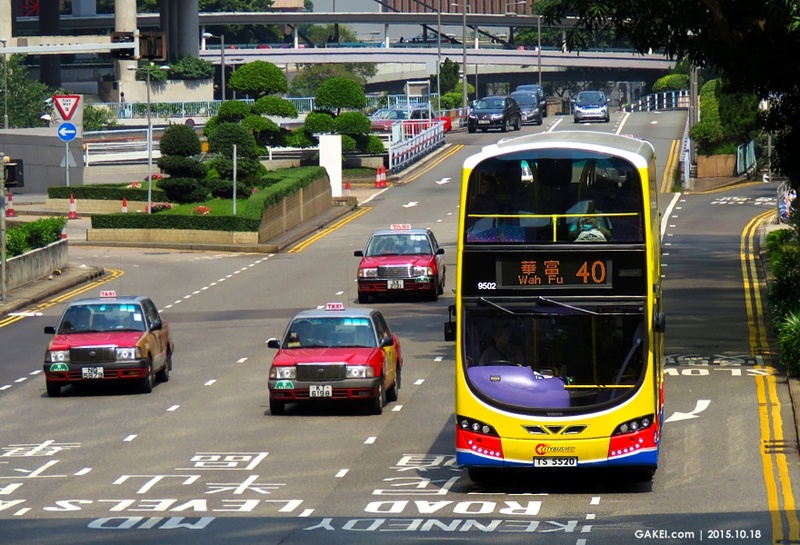 Following the two-axle Alexander Dennis Enviro400 buses, Volvo supplied two B9TL buses with two axis to Citybus and Kowloon Motor Bus respectively. The Citybus one is assigned a fleet number of 7500 and was licensed on 26 November 2010 as PN 8018, which was subsequently put into service on Route 260 on 20 December 2010. Citybus acquired more three-axle Volvo B9TLs in later years, including 6500 (TG 2476) with a 12.8 metres body and 30 buses (9500-9529) with 11.3 metres bodies. Please click on the photographs for enlargement.